Uses tape size 3.5mm, 6mm, 9mm, 12mm, & 18mm. 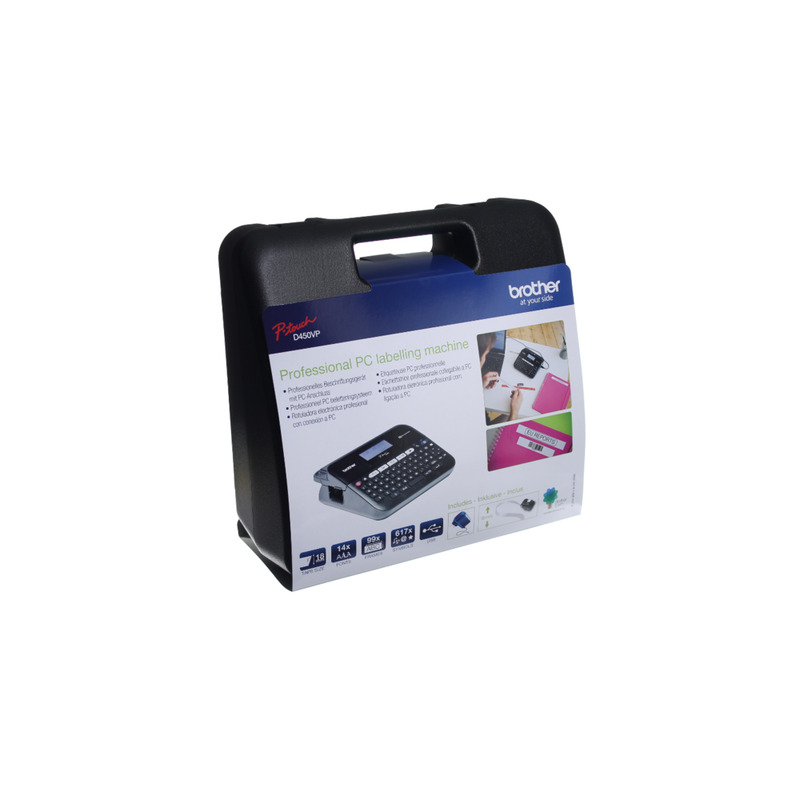 The low cost Brother PT-D450VP is ideal for use at home, in the work place or can be used as a portable labelling system for gardeners out in the field. Packaged in its hard carry case, it includes a TZe-241 18mm Black on white starter tape and a mains power supply. 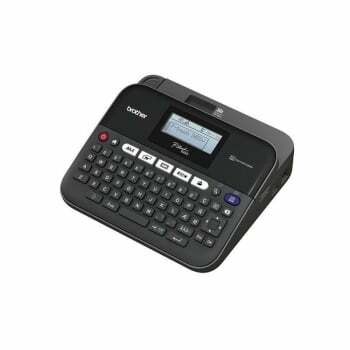 The PT-D450 can be used as a stand-alone printer on its own, or run from a PC and features a QWERTY keyboard with intuitive one touch feature buttons on the keys to make label design extremely easy. 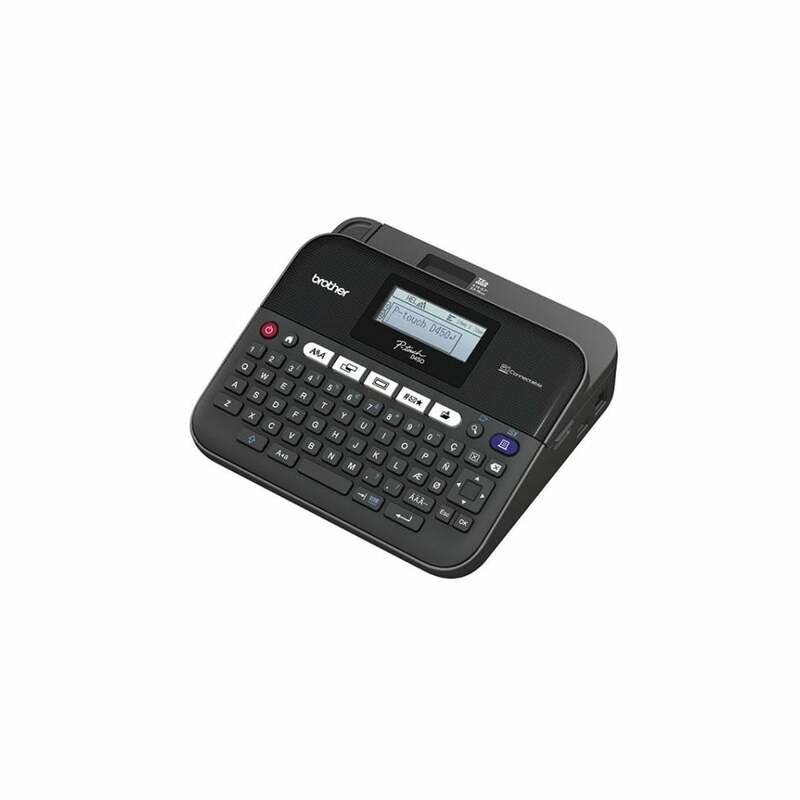 As with all P-touch printers there is also a host of fonts, print sizes, symbols and frames to make your labels clear and informative.